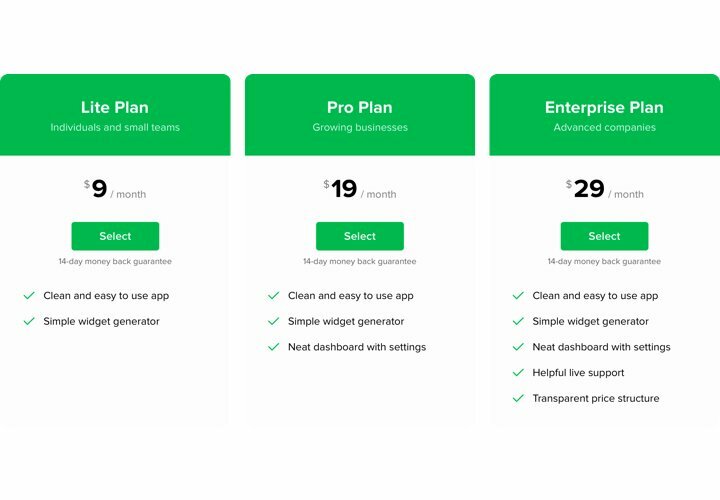 Pricing plays one of the critical roles in motivating customers to buy. Module by our team not only allows users of the page to quickly get acquainted with your price options. It also contributes to raising conversion due to the latest techniques in design and templates. Bring sales of your website to a different level, using effective pricing. Help users finish a purchase. In a clear format, show the data your potential customers are looking for, and convince them to make the right choice. Creating module in only 90 seconds. Spend just several minutes, to generate an ideal module . Customize interface parameters and add detailed info to display it in a matter of seconds. 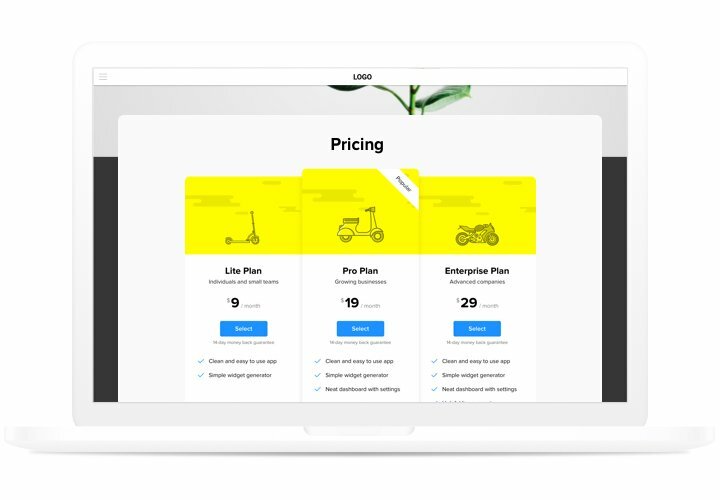 Make your pricing exciting for customers. Get the best of the assortment of colors, show different components, display pictures, to make your pricing entertaining for visitors and stimulate purchasing. 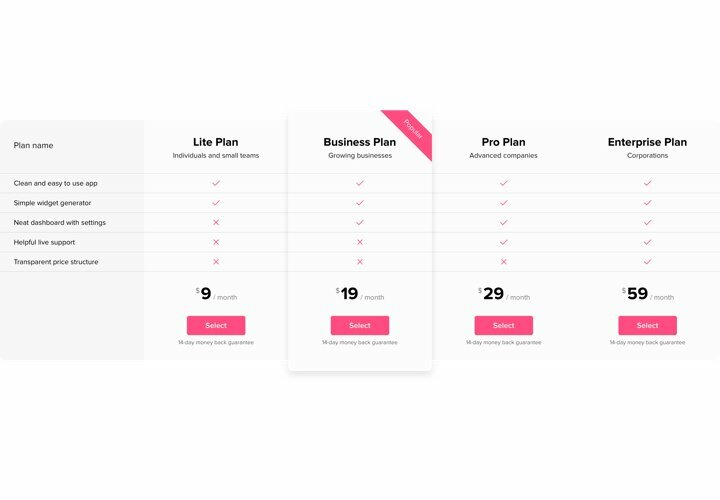 The benefits that transform our module into the best Pricing Table for OpenCart websites. Customizable font size and weight. An instruction on installation of Elfsight module. To follow it, you don’t need skills in programming and it won’t take much time. Just take several quick steps that will require no longer than 3 minutes. Download the extension and insert it to the website. Choose the needed version of the module and download its file. Then, install it to your website via «Extension Installer» in the admin panel. 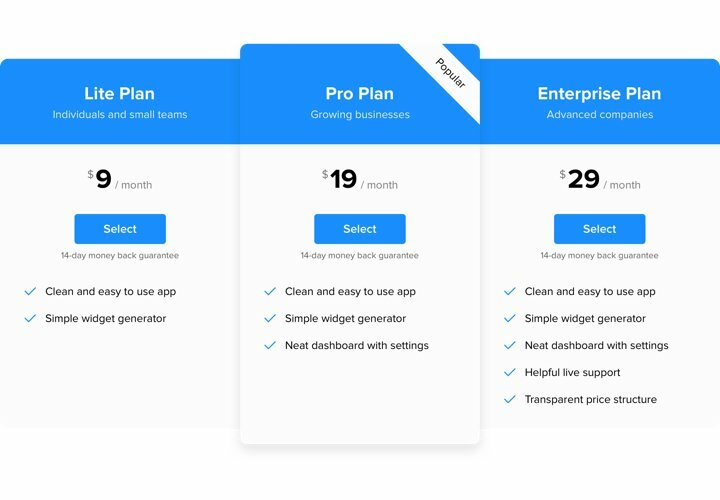 In «Extensions» section, adjust filter by module and open Pricing Table. Then, choose the settings of the design and functions. Demonstrate the extension on the page. Find the necessary page, add the extension code there, and apply all the changes. Go to your website, to see Pricing! won’t take much time. Just take several quick steps that will require no longer than 3 minutes. Having issues with generation of the module? 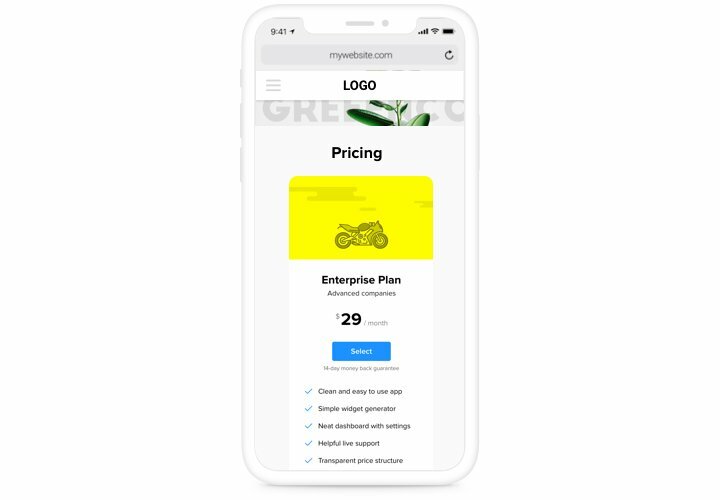 See our complete instruction «How to integrate pricing table into a OpenCart» or contact our support team, which will help with any query. 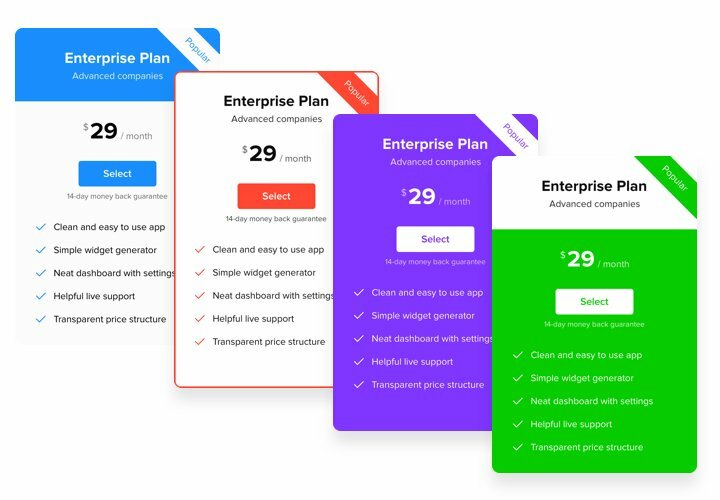 Shape the best OpenCart Pricing Table extension in just 2 minutes!